Slightly edited, originally published on January 20 under the title "OK, Turkey Is a Majoritarian Democracy, not a Dictatorship." 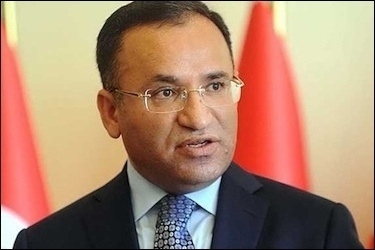 Justice Minister Bekir Bozdağ has an important message for the world: Turkey is not a dictatorship. I have no idea how many justice ministers in the democratically civilized world have to make speeches arguing that their country is not a dictatorship. But Turkish Justice Minister Bekir Bozdağ has recently felt compelled to remind the world of just that. Bozdağ said the mere existence of main opposition leader Kemal Kılıçdaroğlu is proof that "there is no dictator in the country." That was relieving. But Mr. Bozdağ's line of defense is problematic. For instance, the existence of Syrian opposition parties did not mean Syria was NOT a dictatorship. Bozdağ's problematic line of defense does not change the fact that President Recep Tayyip Erdoğan is an elected leader, or that his seat is legitimate. But the fact that Mr. Erdoğan is not a dictator does not change the fact that Turkey has an increasingly wider democratic deficit. That is primarily because Islamist politics is majoritarian and can hardly make peace with pluralism. Governments cannot protect, through law and order, any behavior the majority would dislike or view as harmful, illegitimate and ugly. The minority will have to give up some freedoms (that are disapproved of by the majority). The remedy ... is democracy with reference to Islam. Otherwise the majority, whose values could be violated by the minority, will have the right to apply neighborhood pressure [on the minority]. They view the academics' declaration as freedom of opinion ... despite the fact that it damages our country's image, it is against the law and ethics, and it is impossible that freedom of opinion could allow this [the declaration] ... They are not defenders of human rights; they are democracy fools and 'democratists' [his neologism for possibly fake democrats]. After 13 years of Islamist rule, this kind of majoritarian thinking comes as no surprise at all. In this mindset, a democrat would never complain of human rights violations in his country. Why? Because the government responsible for such violations was elected by the majority's votes/will. Islamist politics is majoritarian and inherently at odds with pluralism. Similarly, according to this mindset it is impossible that freedom of opinion could allow the academics' declaration. Why? Because it is against the law and ethics. But which law? Universal law or Islamic law? Who will have the authority to judge whether or not a declaration issued by academics or plumbers is ethical? Mr. Karaman and the ulema? Or perhaps the president? The Islamists' inherent problem with pluralism is often painful for the minority. But the way they sometimes defend their "cause" can be entertaining. For example, one of the staunchly pro-government (or rather "pro-president") newspapers actually admitted that there was a dictator in Turkey. Daily Star's front-page headline on Jan. 17 read "Kemal the dictator," in reference to the main opposition leader. So we know who to blame for Turkey's huge democratic deficit. Perhaps a ban on the opposition would make Turkey a more democratic place?